Affordable, software-based collaboration solution for mini spaces. 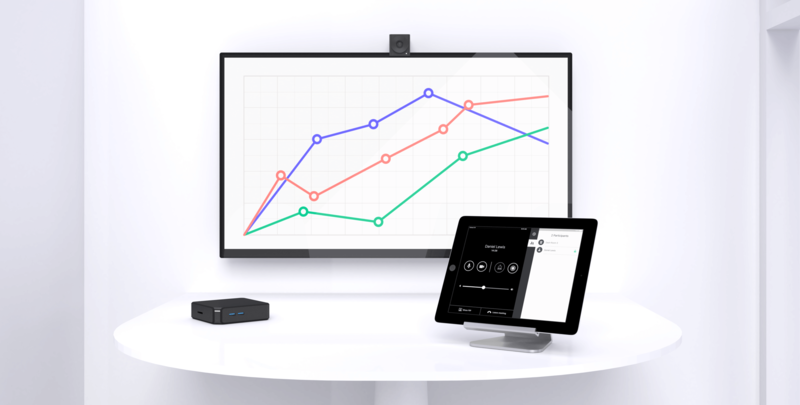 Lifesize Dash™ helps you transform your small, underutilized phone rooms into video-connected, collaboration hotspots so you can deploy modern, cost-effective workspaces in your smallest meeting rooms. Huddle rooms and mini rooms are perfect for when it’s just one or two people in the meeting room. Learn how you can create modern, easy-to-use mini meeting rooms with Lifesize Dash. In this 15-minute session, we’ll show you how to transform an iPad and a Chromebox into a full-featured video conferencing solution, provide a live demonstration and answer your questions. You don’t have to be a technology expert to get your Lifesize Dash solution up and running — all you need is a Chromebox, a tablet, a USB camera and audio device, a monitor and about 10 minutes. This software-based video collaboration solution uses WebRTC technology to enable video, audio and wireless screen sharing on inexpensive Chromebox devices. Lifesize Dash seamlessly integrates with third-party USB camera and audio devices, giving you the flexibility to use the hardware you want while still getting access to the best-in-class user experience, reliability and centralized management of the Lifesize service. The Lifesize Room Controller is a tablet application designed to bring touch controls to your mini meeting rooms. Search your company directory, join a meeting, wirelessly share your screen and access in-call controls like mute, add participants and call recording all with the touch of a finger. We recommend building Lifesize Dash rooms with the following tested and supported hardware essentials. Supported Dash room hardware can be purchased off the shelf or through our extensive global partner network. Get an in-depth look at hardware requirements and learn how to activate your Dash room and start making calls. 1 Hardware devices not included with Lifesize Dash room license. 2 Requires a Lifesize subscription. Feature availability and price may vary by subscription plan, selected options, and paired devices.